4rd Floor, Surya Sadhana Building, MR - 9 Square, AB Road, Indore - 452001, MP, India. VG Group has been relentlessly working to change the face of the developing city of Indore. The group has been delivering real estate solutions for more than three decades and has a huge base of satisfied customers. Over the years VG Group has built a reputation and earned confidence of discerning buyers having executed prestigious projects which have become landmarks on the canvas of city of Indore. Each of them has been designed with an eye for aesthetics and a concern for its surroundings. The group constant endeavor towards meticulous planning, superior design amenities, and excellence in quality and timely completion has been key to making VG Group one of the best in the business. The VG group has completed a wide array of project since its inception. A journey of thousand miles begins with a single step VG Group journey began with the construction of the iconic “Surya Sadhna” in the heart of Indore. 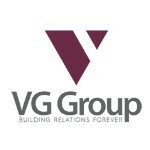 The VG Group has been involved in numerous commercial and residential projects since then.